Spirulina supplementation can help reduce LDL cholesterol and total cholesterol according to a study from the Journal of the Science of Food and Agriculture. Spirulina is a blue-green algae loaded with antioxidants and nutrients beneficial for the body and brain and has been called the most nutritious foods on the planet. Spirulina is rich in numerous vitamins, minerals and amino acids and has potent antiviral properties. High intake of antioxidants like spirulina may help prevent disease and provide anti-inflammatory effects. 1. Mazokopakis EE, Starakis IK, Papadomanolaki MG, Mavroeidi NG, Ganotakis ES. The hypolipidemic effects of Spirulina (Arthrospira platensis) supplementation in a Cretan population: a prospective study. J Sci Food Agric. 2014;94(3):432-7. 2. Farooq SM, Boppana NB, Devarajan A, et al. C-phycocyanin confers protection against oxalate-mediated oxidative stress and mitochondrial dysfunctions in MDCK cells. PLoS ONE. 2014;9(4):e93056. 3. Mao TK, Van de water J, Gershwin ME. Effects of a Spirulina-based dietary supplement on cytokine production from allergic rhinitis patients. J Med Food. 2005;8(1):27-30. 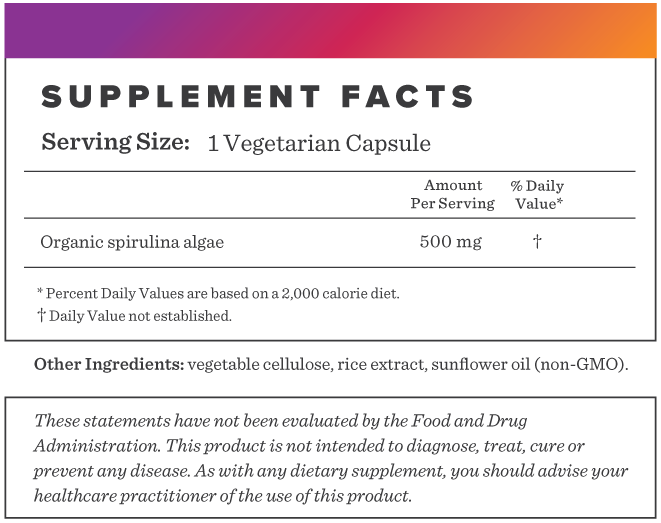 Below we've broken down the main functions of our Spirulina and the benefits it can provide. 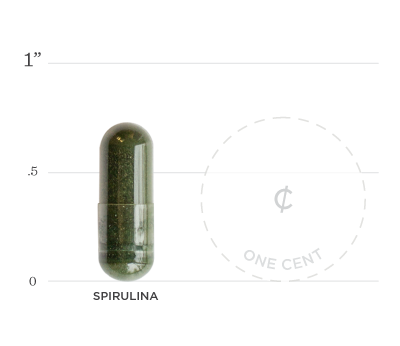 Spirulina has been shown to help reduce triglyceride levels, LDL and total cholesterol and decrease the ratio of LDL to HDL in those who supplemented for 12 weeks. The antioxidant phycocyanin, which gives spirulina its unique blue-green color can can fight free radicals and inhibit production of inflammatory signaling molecules and have neuroprotective effects. Animal studies have shown spirulina to be an effective immunomodulator, an agent which affects the behavior of immune cells.